Want More Followers for Your Business on Twitter? Avoid These Mistakes! Social media—and Twitter in particular—is an excellent tool to help you publish and share online content related to your industry and business. It’s also extremely useful for spreading the word about any upcoming promotions or product launches your company is doing. However, just like any professional or social interactions, there are certain rules and etiquettes that should be followed to maximize your online influence and help you increase your followers. Proper social media optimization involves adhering to these rules and avoiding certain mistakes you may unknowingly be making on the popular social media app. 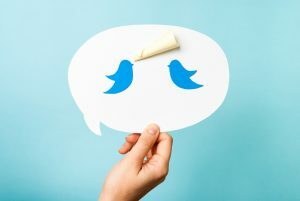 Keep reading to learn more about how you can optimize your Twitter usage and make it work better for your business. Social media is a very fickle medium that can either make or break your business. While your followers are always interested in learning new things about your business and staying informed about your products and services, it’s also important to show an interest in their lives from time to time. Small, medium, and large businesses can remain relevant by actively and creatively interacting with their customers in different ways to keep them engaged. Unfortunately, cultivating a strong social media presence isn’t everyone’s strong suit and that’s why many companies hire special personnel to handle their accounts for them. If you find yourself making any one of these mistakes on Twitter, then it may be time to hand over the reins to someone else. While it’s certainly important to keep your followers and online customers updated on everything that your company is doing, your marketing attempts could fall short and cause you to lose followers if you’re constantly inundating them with self-promotional content. Twitter is ideal for brief and lighthearted interactions with customers or to address any questions and concerns they may have. Since that’s how the majority of your customers will want to get in touch with you, make sure they feel like it’s safe and easy to do so. Also, constantly posting promotional content is a huge turn off and is the equivalent of filling people’s e-mail inboxes with spam and nobody wants that. Professional Twitter profiles should never be set to private because it not only hinders your followers and potential customers from being able to interact with or tweet at you directly, it also deters them from trying. It’s important for businesses to be available to their online followers at all times. Keep in mind that if you’re an expansive company, you most likely have international online followers and they need to know that their inquiries will be answered within a reasonable timeframe. On top of that, many people will view your Twitter profile to try to glean more information about your business and it’s impossible for them to do that if they can’t access your profile. Setting your company profile to private generally sends the wrong message by showing your followers that you don’t care about interacting with them and that defeats the purpose of being on social media in the first place. At one point or another, every business gets their fair share of complaints, whether it’s about a product or service or about a policy the customer doesn’t like. Social media gives customers a very public online platform to air these grievances so that their fellow consumers can see them. That “buyer beware” attitude can spread like a forest fire in the online universe, so it’s important for you to find an agreeable solution to extinguish it right away. Unfortunately, some business owners end up letting their pride get in the way of delivering excellent customer service and that’s where followers are not only quick to click unfollow, but sometimes they might also screenshot the online interaction and spread it all over the place. To retain your existing follower base, appease disgruntled customers, and increase your online popularity, you should always answer all questions, complaints, and concerns in a courteous manner. Many social media gurus understandably tend to use abbreviations on Twitter because of its 280-character limit and, of course, to prove their relevance and ability to relate to today’s youth. That’s perfectly acceptable. What’s not acceptable and can in fact be downright embarrassing is making your tweets look and sound like a kindergartener wrote them. When composing tweets, you need to take the demographic of your target audience well into account. What type of followers are you trying to attract to your business and how do you plan on keeping them engaged? These are important questions you should be asking yourself in order to maximize your social media presence and guarantee that you’re constantly holding a high ranking position on the Twitter trends feed. There’s nothing wrong with occasionally retweeting or sharing other people’s kind remarks about your business, but when it happens on a regular basis—we’re talking 20 consecutive retweets that are complimenting your business—then that just comes off as boastful and frankly very annoying for your followers. Some followers might even start to believe that you’re paying users to write kind words about your business on the Internet just so you can share them with your followers and that never bodes well for any business. It’s a cheap ploy and even if you’re simply sharing kind tweets from your actual customers, you should dial it down a little. Try to minimize it to one retweet per day if you must do it at all. 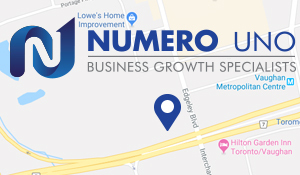 The experts at Numero Uno Web Solutions can help your brand build a strong online presence and manage your Twitter, Facebook, and Google accounts for you. If you need help reaching out to the masses by creating interesting and engaging online content, we can help you achieve that goal. Contact us today to learn more!